October 12, 2012 — Metagenics Inc., a nutrigenomics and lifestyle medicine company focused on improving health and reversing chronic disease, hosted the inaugural “Lifestyle Medicine Summit: Taking the Chronic Out of Illness” Sept. 28-30 in Dana Point, Calif. Registration reached capacity a week before the event, and more than 500 healthcare practitioners left fortified with new clinically effective strategies to help transform the lives of their patients. 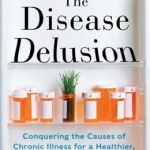 Keynote speakers at the event included internationally known leaders in the field of lifestyle medicine, such as Jeffrey S. Bland, PhD, president of the new Personalized Lifestyle Medicine Institute and former CSO for Metagenics; Mark Hyman, MD, bestselling author, speaker, and practitioner of lifestyle medicine; and John Gray, PhD, bestselling author of Men are from Mars, Women are from Venus. Eleven other experts also presented sessions on various areas of lifestyle medicine. According to the Centers for Disease Control and Prevention, one out of two American adults has at least one chronic illness, and chronic diseases contribute to seven out of 10 deaths in the U.S. Many healthcare professionals and their patients are seeking solutions — beyond taking an increasing number of prescription drugs that treat symptoms — to address the systemic nature of most illnesses. In particular, breakthroughs in nutrigenomics — the science of nutrients as modulators for wellness — offer options that can address and help delay or reverse the onset of common lifestyle-related conditions, such as obesity, cancer, heart disease, diabetes, and even cognitive disorders. Metagenics University’s “2013 Lifestyle Medicine Summit: What Women Really Want” will focus on women’s health. To ensure a space at next year’s summit, healthcare practitioners are advised to register early. The event will take place at the Fairmont Millennium Park Hotel in Chicago Oct. 4-6, 2013. Register today at metagenics.com/2013summit.